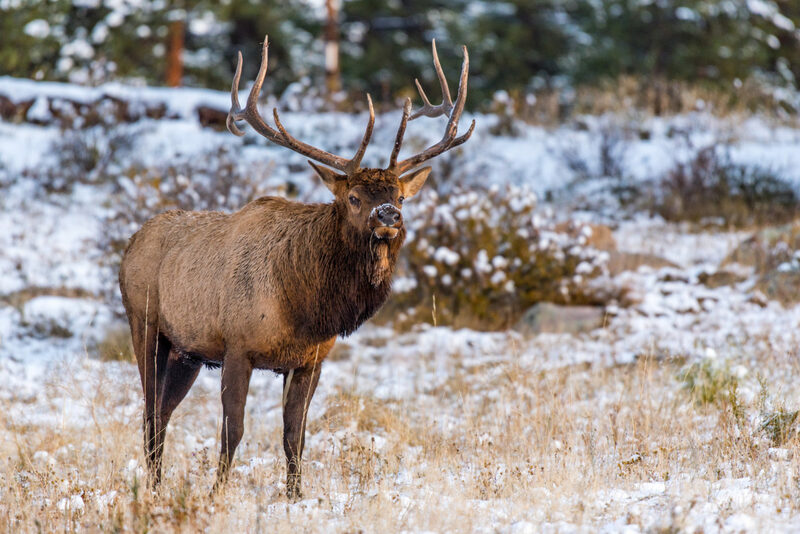 Soap Mesa Outfitters offers quality guided elk and mule deer hunts in Colorado. We cater to archery, muzzle and rifle hunters. Our spectacular over 3500-acre private ranch overlooks Blue Mesa Reservoir, Soap Creek, and the Gunnison National Forest. We also have a National Forest Permit which provides an additional 8000+ acres with near utter seclusion due to its limited access. Unit 54 is our management unit, and we sit north & west of Blue Mesa Dam. We are located only 40 miles from Montrose, Colorado; 19 miles from Gunnison, Colorado; and each have a municipal airport. If you wish to fly in, we can pick you up at the airport gate. If you prefer to drive, we will meet you in Montrose the day before your hunt starts. After getting licenses and other essential items, we head for camp. Before arriving at camp, we’ll make a quick stop at the rifle range to verify that everyone’s rifles and scopes are sighted in due to problems that can occur while traveling. 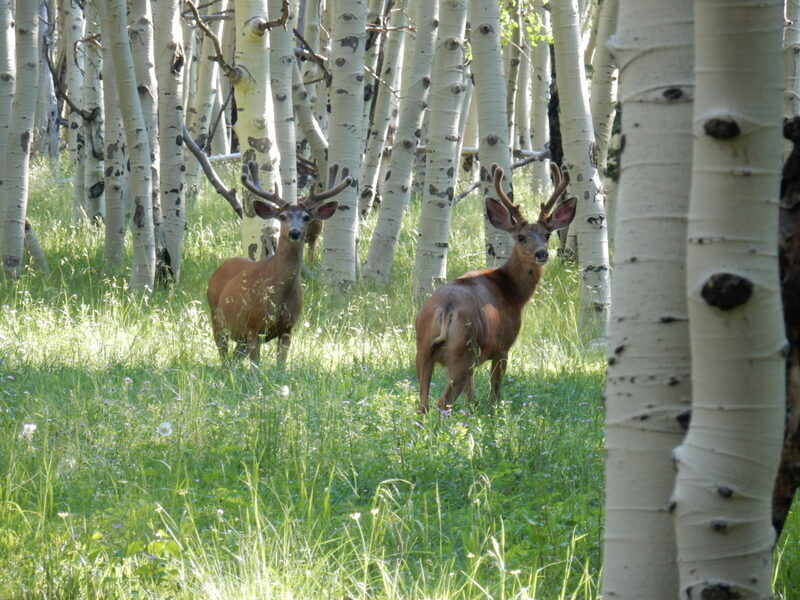 The terrain elevation ranges from 7,500 to 9,500 feet and is extremely easy to hunt. To get where we need to be, we use 4×4 vehicles and side by side ATV’s. Horses are not used. Conserving our local herds is very important to us, so we only allow six or seven hunters per season. During your stay with us, you will be warm and comfortable in our heated mountain cabin which has hot and cold running water, electricity is powered by a quiet generator, full bathrooms including a sizeable hot shower, two toilets, and two sinks. We provide oversized bunk beds and mattresses with the top bunks customarily used for storage and personal gear. Our camp cook takes care of all the meals in a great, fully furnished commercial kitchen. Bring your gear, sleeping bags, binoculars, rifle, and any other necessities. For further information about anything contact Darrell by email: dgilks@msn.com or phone 970-209-0900. He will be happy to assist you!